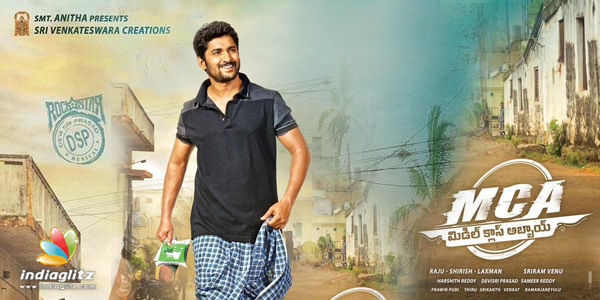 Music-directed by Devi Sri Prasad, the album of 'MCA' has lyrics by Chandrabose, Srimani and Balaji. Nakash Aziz, Divya Kumar, Shravana Bhargavi, Jaspreet Jasz, Karthik, Deepika V, Sagar and Priya Himesh are the singers. Chandrabose writes a song that appeases the middle-class guys out there by romanticising their little joys. At the same time, he points out the idiosyncrasies that are the stuff of anxious, gossip-obsessed and even greedy middle class 'vallu'. The line about the kick derived by selling off empty beer bottles takes the inexpensive cake. Nakash Aziz once again acquires that DSP-esque vocals for a number rooted in the Telugu culture, at least partially and because of the guy next door hero (Nani). As for Devi Sri Prasad's music, it induces a sense of deja vu to a good extent. There is a palpable college campus feel about it. The use of the trumpets and the guitar is typical of the Rock Star. Srimani's lyrics come into their own in the second stanza. "Kanupaapalu rendunnayi, Chirupedavulu rendunnayi, Naa pakkana untava, naa rendo manasalle" is one of the loveliest lines heard in a long time. Such is the song's concept that the heroine has to offer a ready solution to the hero's romantic travails! Karthik and Deepika V sing in consonance. They are tailor-made to render a Devi Sri Prasad duet that can be both stirring and soothing at once. The music director scores marks by choosing to begin the number in an energetic manner. Devi's Veena-playing, Kiran's flute-playing and Vikas' keyboard-playing take the cake. Living up to the title, the song mirrors the sense of the new in the love birds. For the born-again lovers, each other's world is anew. They inhabit a temporal reality where a day exhausts like a nano-second. Srimani's lyrics bring out such feelings remarkably well. Sagar is joined by Priya Himesh in rendering the song to a deliberately understated effect. The male singer's lively vocals smuggle in DSP's famed style right from the word go. Devi Sri Prasad, without doubt, draws from his own songs. Notably, towards the end, the stanzas have a remarkable similarity to Mani Sharma's 'Gappu Chippu' from 'Tagore'. It's a no-holds-barred family party. Srimani anchors the hero as a freedom-bestowing male who asks his girl to do masthi with gay abandon, dress code be damned. For yet again, home is preferred over any foreign country. Jaspreet Jasz's voice has a fresh aura about it. For a family song, his voice sounds quite atypical. DSP has a way with such 'veduka' songs and he doesn't disappoint. Balaji's lyrics are entertaining and sound as if they can be had for a superstar's song as well. 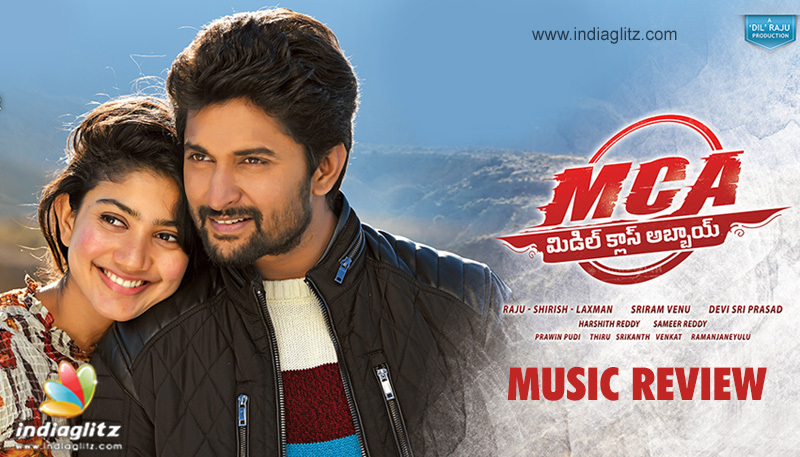 Divya Kumar and Shravana Bhargavi strike a terrific vocal chemistry. They are the perfect choices to croon this conversational number. Largely vibrant, lively and, at the same time, in the beaten path. Enjoyable lyrics and engaging vocals make it a good album.